A promotional item is an article of merchandise that is used as marketing an advertising. A promotional item usually has the company name, logo and or message emblazoned on them. Promotional items are also commonly used for advertising specials, gifts to clients, awards and commemorative awards for staff and premiums. Promotional items are usually found at trade shows and in mail order, however many promotional items are given away in increasing numbers in other ways and means as well as part of a marketing campaign. Today, many businesses distribute promotional items to target markets of potential clients which generates measurable results, especially when you consider the cost of many promotional items to be quite inexpensive. Many politicians also use promotional items to promote their candidates and causes. Promotional items can be found in schools and organizations as well as awareness raising campaigns or to help raise funds for the program. And many, many more promotional items that are neat, interesting and unique. College students are struggling more than ever to meet the financial obligations needed each semester of school. Tuition, room/board, books, food and school supplies can definitely put quite a strain on a college student’s wallet. If your target market is college students, you have an amazing opportunity to market your brand while aiding a struggling college student. A promotional notepad would make a fantastic giveaway as students will certainly find use for it in addition to saving money on school supplies. Your brand awareness will increase and the notebook can also have an insert or section providing students with more information about other products and services that would benefit them. Promotional pens and pencils are another obvious and useful item that will increase your brand’s exposure. USB flash drives also make wonderful giveaway items as students require portable document storage if they’re using a computer provided by their University. 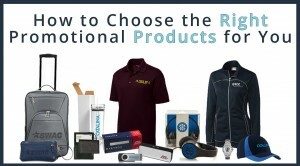 To discover great promotional products that suit the back to school crowd, contact us today. When new companies enter a particular marketplace, creating a first impression is often a challenge especially when there are other companies putting out a similar product or service. Many companies throw salesmen out into the trenches looking to attract prospective clients using passion and enthusiasm as a means to open doors. While there’s nothing wrong with that particular approach, it can often be unsuccessful. To compliment these efforts, a sales pitch must bring something else to the table. A promotional product is that ultimate compliment. Instead of the salesman making the pitch, the promotional item makes the pitch. The recipient takes interest first and foremost in the product he or she is receiving as it might be quite useful to them. They’re also absorbing your brand and logo in the process. Once the promotional product has appealed to the person, then the human to human sales pitch can begin more naturally. As a result of this promotional product giveaway, the recipient leaves the interaction with not only something useful, but something to associate with whom they met from your company. As always, the product you choose plays an important part in this whole process. You must give something useful and appealing to the senses. USB flash drives, tote bags and even a wine tote bag really make a giveaway standout among the rest. To get started on your own promotional campaign, contact us today.